Get ReaDDy! 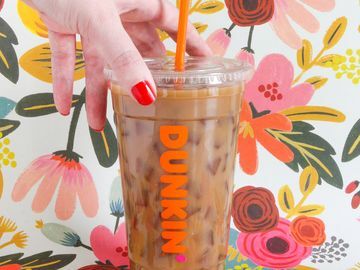 We’re taking our OREO® and CHIPS AHOY!® Flavored Iced Coffee on Road Trip! This morning we announced some very exciting (and mouthwatering) news: OREO® and CHIPS AHOY!® flavored Iced Coffees and Coolatta®! These summer beverages feature the classic flavors of OREO® and CHIPS AHOY!®, and are a fun yet refreshing way to enjoy the flavors of these wonDDerfully delicious cookies. 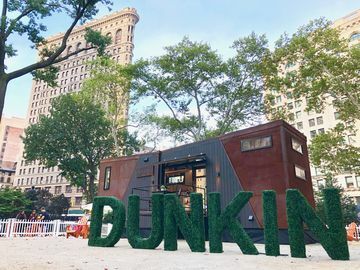 We’re so excited about this summer lineup that we’ve decided to hit the road and visit select cities with our sampling truck so our fans can try our cookie flavored Iced Coffee first hand! 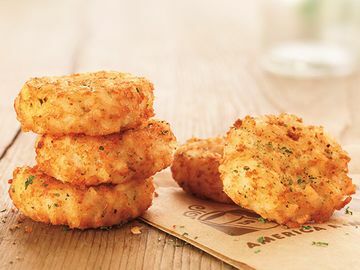 Not able to visit our sampling truck but want to participate in the fun? No problem! Our fans can celebrate our new beverages by playing our online version of the “Cookie Dunk Instant Win Game.” Beginning today and running through July 15, anyone can log onto CookieDunkGame.com online or via their mobile device, once per day, to play the cookie-themed game, for a chance to instantly win a $3 or $5 mGift, a JetBlue travel certificate, or entries into the Grand Prize Sweepstakes for four JetBlue travel certificates and a year’s worth of Dunkin’ Donuts Iced Coffee. 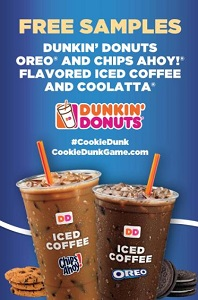 For additional terms and conditions related to the Dunkin’ Donuts’ “Cookie Dunk Instant Win Game,” please visit CookieDunkGame.com. No purchase necessary, must be 18+ to enter. Void where prohibited. Don’t forget! 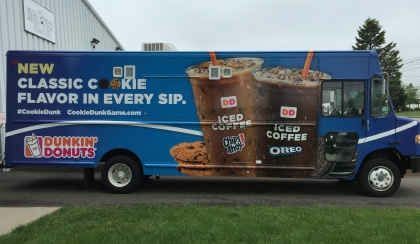 If you see our truck or stop by one of our fun-filled sampling events, share your pic with us on Twitter or Instagram using #CookieDunk!